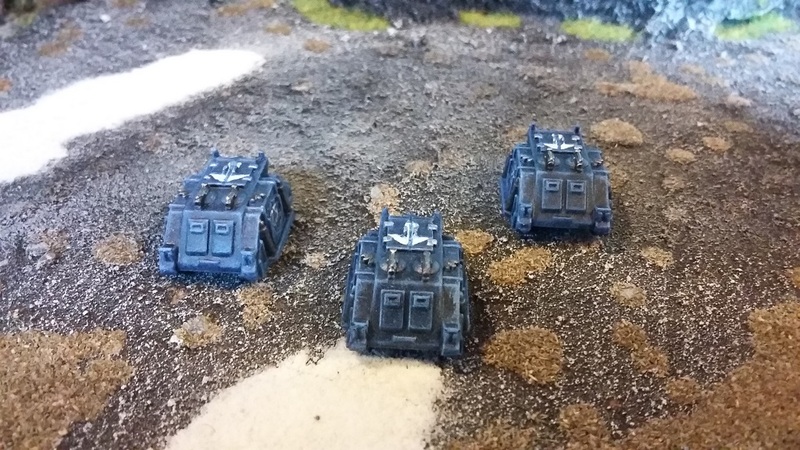 So, in a frenzy of drybrushing I've completed another trio of Rhinos for my Epic Ultramarines. Painting at this scale is easy, spray black, drybrush Ultramarine Blue, drybrush again with a little white added to the blue. Retouch the black on the guns, exhausts, tracks and smoke launchers then back to drybrushing with Chainmail on those parts, allowing the brush to catch a few extra edges for the sake of easy weathering. Paint on the Ultramarine badges - done! 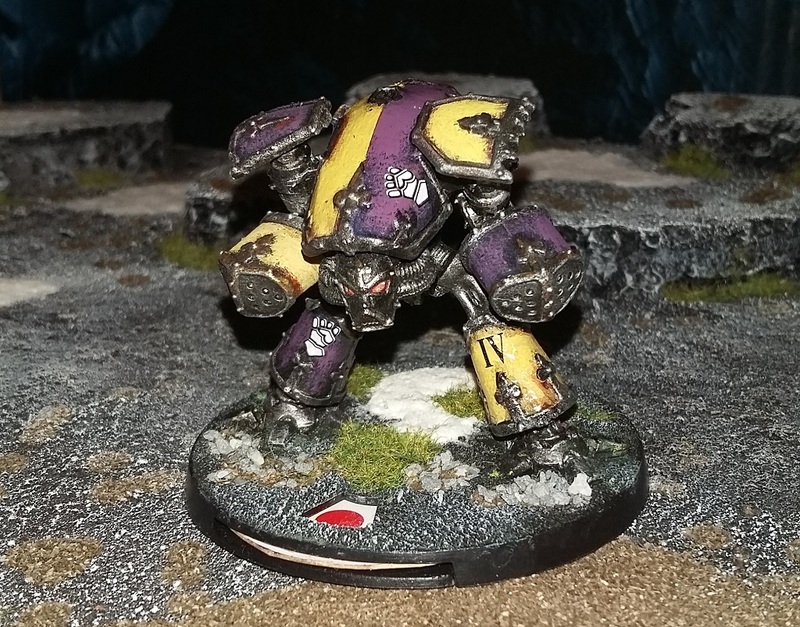 Accompanying my Warlords as they crush the Great Enemy underfoot will be this chappy - An all-metal Reaver Titan. 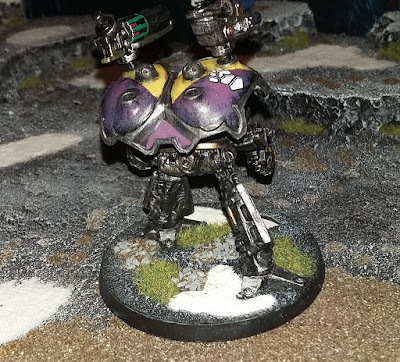 At the moment, it's missing its carapace weapon (somewhere in my house is another multi-launcher just like the ones in it's armpits). Until it's found, I can always use a plastic push-fit weapon from the Warlords. Still plugging away, switching between projects. I've got a few more models ready for the 6mm Ultramarine army. A few Rhinos. I'm doing them in small batches of three as that is how many is required to support one unit of Marines when playing at this scale (there are 25 Marines to a unit). 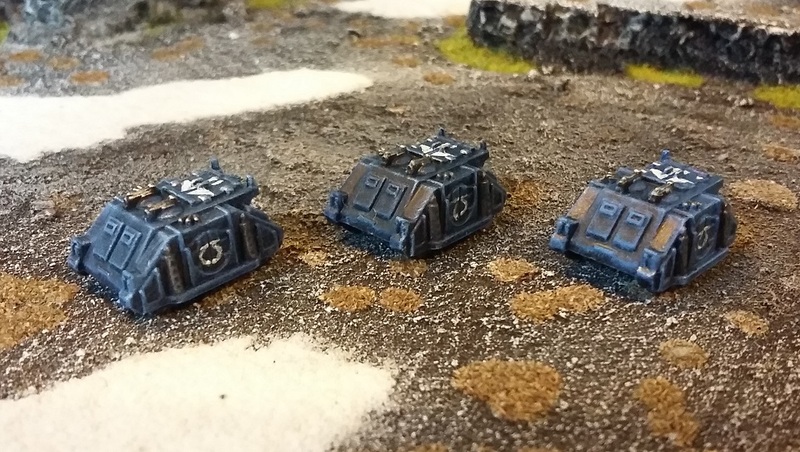 6mm 40K was always a favourite - I never managed to do the models justice first time around. I have a huge collection that have remained unpainted for a couple of decade as a result. Time to right that wrong, step-by-step! 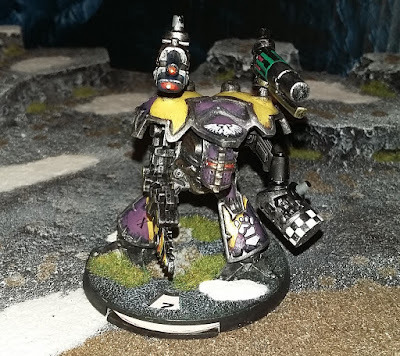 Time to start another army - why not? I'm only working on 3 others, right? I visited the Birmingham Museum and Art Gallery with my family a few months ago and was fascinated (again) by the Staffordshire Hoard. This amazing collection of Saxon artefacts and the associated items that the Museum have produced to enhance the display got me all excited about Saga again. 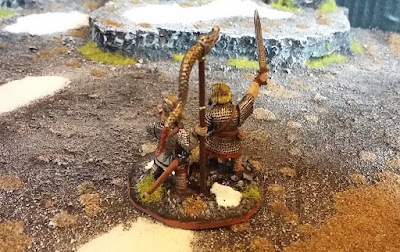 I'd already built an Anglo-Saxon army and next in line were some Vikings, so I've dusted off my sprues and nippers and started working on them. 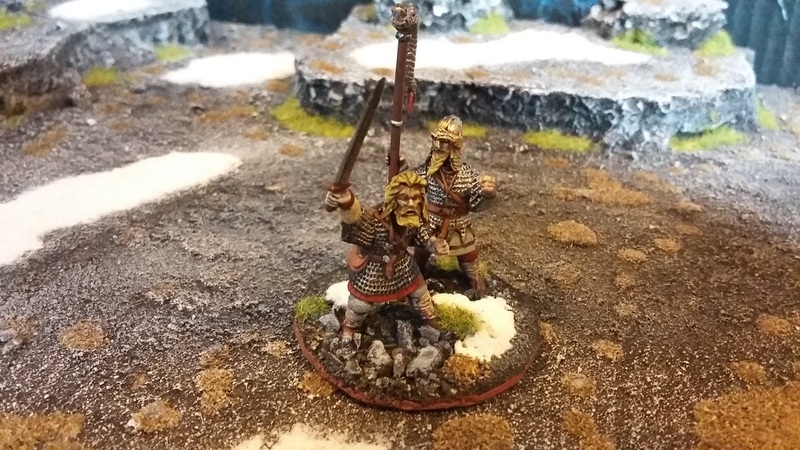 Here's the first unit in what will be a 6-point army - my Warlord. 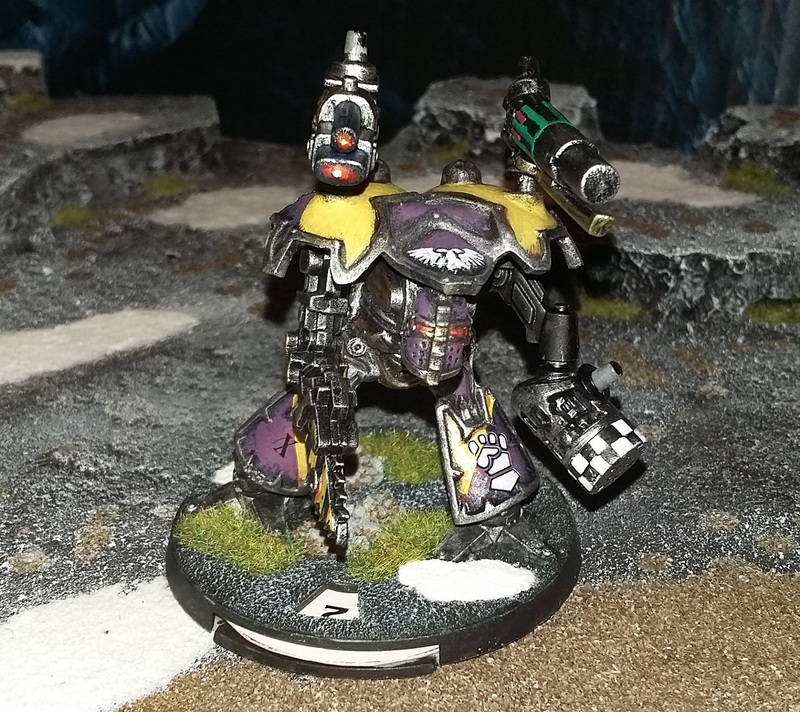 I based him along with a Standard bearer to make him look a little more impressive. 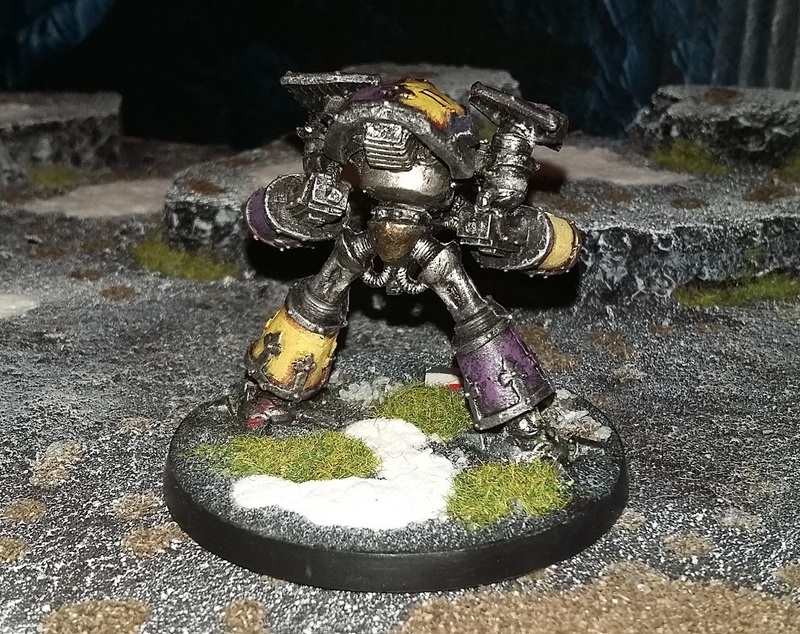 I have completed a total of four Warlord Titans to support my 6mm Ultramarines. This is the second of the four. All the weapons are interchangeable so the models can be tooled up as you wish. The weapons shown here are just a random selection. 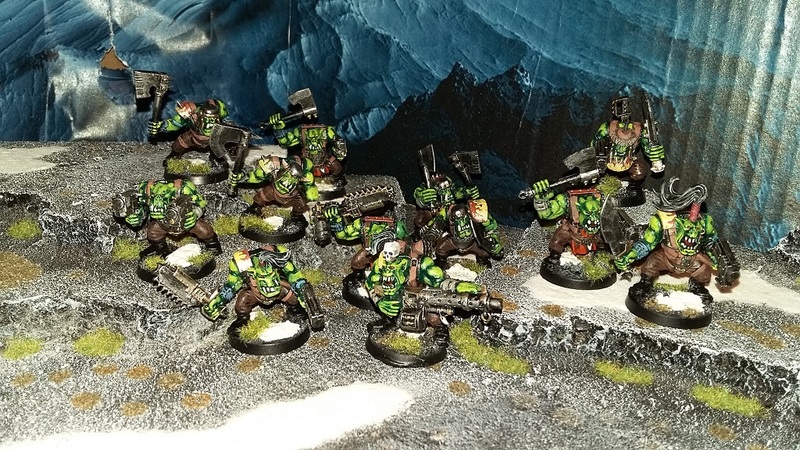 Following on from my Dreadtober efforts I've completed work on another unit of 12 Boyz for my ever growing Ork Waagh! These are all models from the Black Reach boxed set - I picked up a big load of BR models for beans in a series of eBay auctions so I have quite a lot of these guys.